Teaching kids stress management skills early in life will help them to grow into happy and healthy adults. And if you work with children or adolescents, you know that kids today need these skills more than ever. The pressures they face in the classroom, on the playground, in their extracurricular activities, and at home can sometimes be overwhelming. So how can you help lay the groundwork for their success? 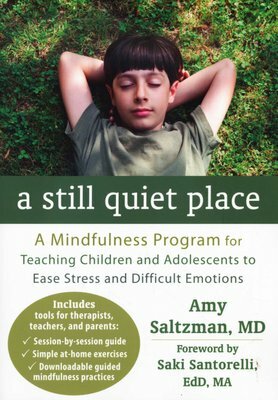 A Still Quiet Place presents an eight-week mindfulness-based stress reduction (MBSR) program that therapists, teachers, and other professionals can use to help children and adolescents manage stress and anxiety in their lives, and develop their natural capacities for emotional fluency, respectful communication, and compassionate action. 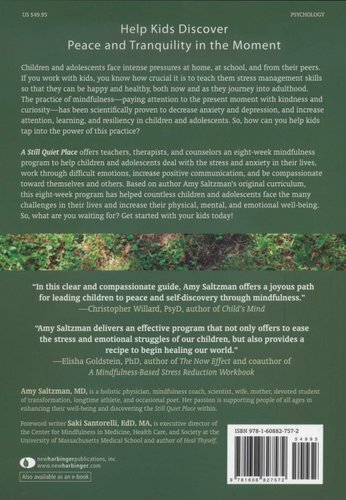 The programdetailed in this book is based on author Amy Saltzman's original curriculum, which has helped countless children and adolescents achieve significant improvements in attention and reduced anxiety. One of the easiest ways to find the still quiet place within is to practice mindfulness-paying attention to your life experience here and now with kindness and curiosity. 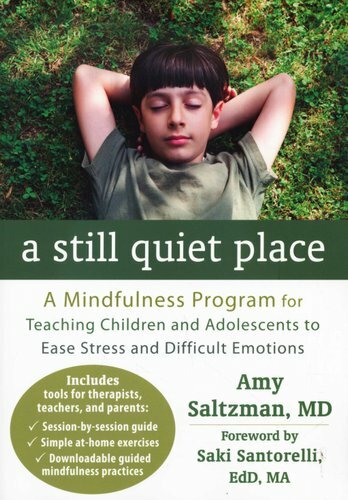 The easy-to-implement mindfulness practices in this guide are designed to help increase children and adolescents' attention, learning, resiliency, and compassion by showing them how to experience the natural quietness that can be found within. The still quiet place is a place of peace and happiness that is alive inside all of us, and you can find it just by closing your eyes and breathing. For more information, visit www.stillquietplace.com.